Bonn, 10 July 2018 - The 13th Meeting of the AEWA Standing Committee took place from 3 to 5 July 2018 in The Hague, the Netherlands. The meeting was kindly hosted by the Dutch Ministry of Agriculture, Nature and Food Quality and was chaired by Dr. Barirega Akankwasah of Uganda. The three-day meeting was the final intersessional meeting of the Committee ahead of the Seventh Meeting of the Parties to AEWA (MOP 7) due to take place on 4-8 December in South Africa later this year. The busy agenda included reports from regional representatives as well as party observers, the AEWA Technical Committee, Depository and the Secretariat, which also gave a summary of open Implementation Review Process (IRP) cases. The Committee was given the opportunity to review the latest edition of the AEWA Conservation Status Report (CSR) currently under preparation, as well as the new draft AEWA Strategic Plan and new draft Plan of Action for Africa for the period 2019 – 2027. “I would like to sincerely thank the members of the Standing Committee for their strong commitment and engagement towards AEWA. Their guidance in the intersessional period has been invaluable and the meeting in The Hague was particularly important in paving the way for the upcoming AEWA MOP in South Africa,” said Jacques Trouvilliez, Executive Secretary of AEWA. Meeting participants also received an update from the Secretariat on progress made in the coordination of adopted International Single and Multi-species Action Plans as well as International Single Species Management Plans, with a focused discussion around the recently developed European Goose Management Platform. The Committee also reviewed a number of newly developed and revised species action plans (Velvet Scoter, White-headed Duck, Dalmatian Pelican, Barnacle Goose and Greylag Goose) and approved their submission to AEWA MOP7 for adoption. “I would like to take this opportunity to echo the Standing Committee’s strong plea made during the meeting to all AEWA Parties to nominate candidates for the vacant Technical Committee positions as soon as possible,” said Trouvilliez. The Secretariat also gave presentations on the implementation of the AEWA Communication Strategy as well a report on the pilot in Joint Services between the CMS and AEWA Secretariats in the area of information management and communications. Important discussion items also included the adoption of amendments to the AEWA Annexes, national reporting to AEWA, financial and administrative matters as well as a review of draft resolutions on topics ranging from climate resilient flyways and AEWA’s contribution to achieving the Aichi Targets and relevance of the Sustainable Development Goals. The Committee also had a closed session in which it selected the winners of the AEWA Award in both the individual and institutional category, which will be awarded in a special ceremony at AEWA MOP7 in South Africa. 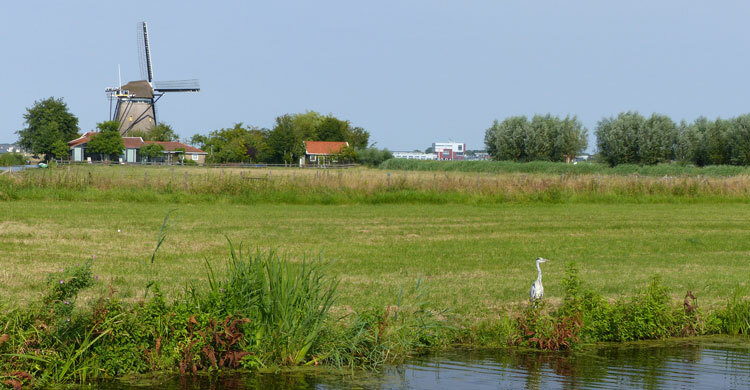 During one evening, the participants had the chance to take a glimpse at the Dutch landscape and birds in the Ackerdijkse Plassen Monumentum, a nature reserve.